When a residential or commercial property owner detects signs of a mold infestation, things can get pretty stressful, pretty quickly. If there are suspicions of potential fungal activity in your Stratford, NJ home or business, you should consider calling a certified mold expert to complete a comprehensive Stratford, NJ mold inspection. Mold should be approached with a sense of urgency. Mold found and addressed early on can make all the difference in preventing serious mold damage and a costly remediation. If nothing else, a mold inspection it will provide you with a peace of mind. After a complete investigation of your property (through a visual assessment, moisture mapping, thermal imaging, and testing), your certified MasterTech mold inspector will be able to confirm whether or not you have a mold problem. 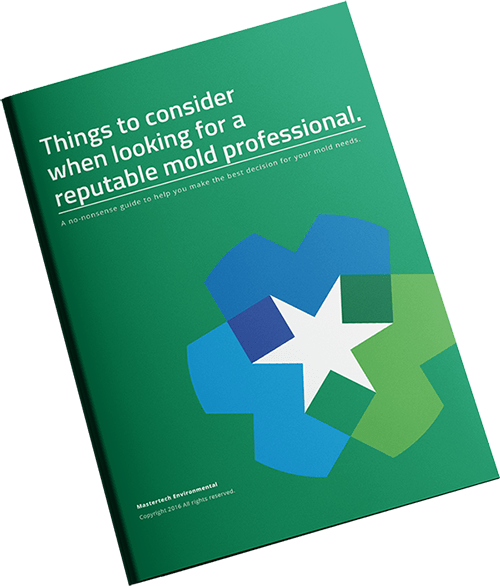 If a mold inspection confirms your suspicions of an existing mold problem, the information gathered during the mold inspection will be compiled into an inspection report, which will include a easy to read outline of all findings and a full report of recommendations for resolution and prevention. If requested, your MasterTech inspector will develop a detailed scope of work for mold remediation. MasterTech provides the highest quality mold services. 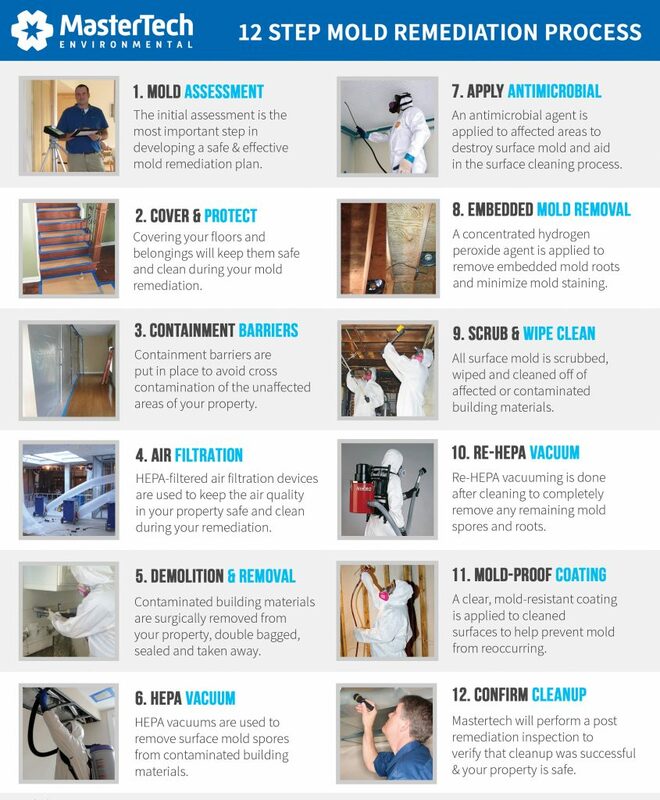 No matter how extensive the mold problem, MasterTech’s guaranteed mold mitigation methods restore your property safely while maintaining its value. Mastertech has helped lots of families through mold problems by offering safe and effective Stratford, NJ mold removal services. Our certified team is dedicated to prioritizing you and your family’s safety and best interest. Each mold remediation in Stratford, NJ will be backed by a 5-year, mold-free warranty. It is our promise to your and your family that the mold has been successfully removed, and it will not come back. Mold does require an abundance of water to thrive. Unsuspecting factors like humidity, condensation and poor air circulation cause and sustain mold growth more often than obvious flooding or water leaks. Basement foundation walls tend to be underground, and the small pores and cracks leave your basement walls vulnerable to seepage and leaks. The first indication of water intrusion in your Stratford, NJ basement is usually water staining or efflorescence. Efflorescence is the white, powdery substance that develops on the foundation wall surface. It is the result of water or vapor seepage which forces soluble salts and minerals to the surface. Often times, the substance is mistaken for mold, but it is not mold. It is a sign of water or moisture seepage which can promote mold growth. If you suspect mold or have moist conditions and a musty odors in your basement, call a certified mold professional. A quick inspection with moisture meters, thermal imaging cameras and a couple quick mold tests will help to determine if you have a mold problem. Most crawl spaces contain perfect conditions to support mold growth. Porous building materials and poor building envelope design play a huge role in most crawl space mold. Many Stratford, NJ crawl spaces are poorly vented with undersized wall vents. Although this seemed like a great idea years ago when they were introduced and added to the construction code, they have made moisture and mold issues worse. In spring and summer, crawl space vents introduce warm air into cool crawl spaces causing condensation on wood and masonry building materials. The same effect happens during cold seasons – only in the opposite order. Discovering attic mold growth in your Stratford, NJ home can be overwhelming. A poorly maintained attic is the ideal breeding growth for mold. If not properly ventilated, moist air gets trapped and infuses itself into the attic sheathing and rafters. This moist air can also increase airborne mold spore levels which can settle into insulation and on belongings stored in your attic. If you suspect mold development in your attic, you should consider consulting an expert who is properly trained to properly diagnose attic mold and prescribe an appropriate solution. A thorough mold inspection will help to determine if a mold problem exists, analyze the full extent of the fungal activity, and offer necessary recommendations for mold removal. Proper mold remediation techniques are important to ensure that attic mold doesn’t cross-contaminate the inhabitable areas below during cleanup. Our process also minimizes or eliminates dark staining left behind by moisture. If you suspect a mold problem in your NJ residential or commercial property, call MasterTech Environmental to schedule an appointment for a Camden County, NJ mold inspection. For mold removal in Tavistock, NJ or mold inspection in Audubon Park, NJ call 1 (800) 310-3226 today. We will be happy to answer all your questions and set you up for an appointment with one of our certified inspectors.